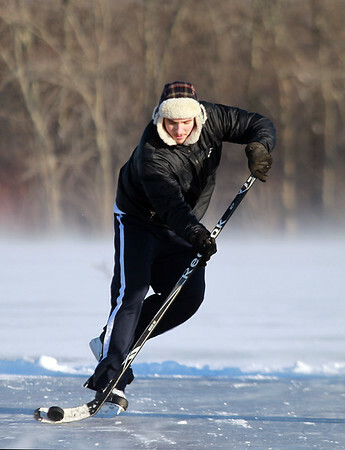 Dylan Mann, of Middleton, controls the puck while playing pond hockey with a few friends at the Topsfield Fair Grounds on Friday afternoon. DAVID LE/Staff photo. 1/9/15.